Patients are languishing in hospitals at least more than four years after they are declared fit to leave. 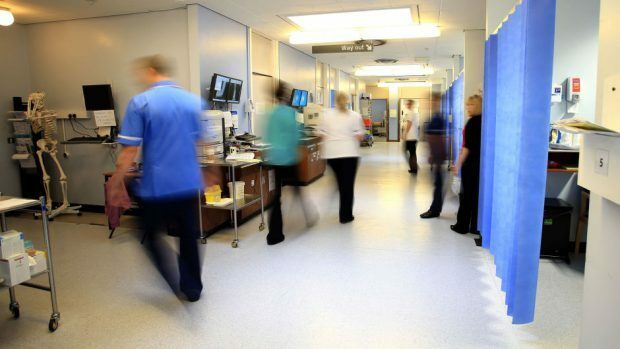 A north-east MSP has called on the Health Secretary to act after official figures showed the vacancy rate for nursing and midwifery staff across Scotland is at its highest ever reported. Conservative Bill Bowman used a topical question at Holyrood yesterday to ask what steps are being taken by the government to address rising gaps in service. The latest Information Services Division Scotland statistics have shown that nursing and midwifery vacancies have increased by 27.5% since March last year. More than 2,800 posts are now unfilled across Scotland, with 670 of those being vacant for three months or more. The overall vacancy rate now stands at 4.5%, the highest ever reported. The highest number of openings are in health visiting (7.4%), paediatrics (7.3%), district nursing (5.2%), adult (4.4%) and mental health (3.9%). The vacancy rate at NHS Grampian as of March 31 was 8.3%, which is the highest of all NHS boards. That includes 175 posts that have been vacant for three months or more. Mr Bowman said: “I have today called upon the Health Secretary to outline exactly what steps the Scottish Government is taking to address this problem. An NHS Grampian spokeswoman said: “Our 2016 figures show a gradual increase in the number of people working for us during the year.